Teeth whitening is a common cosmetic dental procedure which can be done in our North Vancouver office or in the comfort of your own home. What is teeth whitening in North Vancouver? Teeth whitening, often referred to as bleaching, is a procedure that whitens teeth and leaves them feeling ultra-clean. Why might I consider teeth whitening? 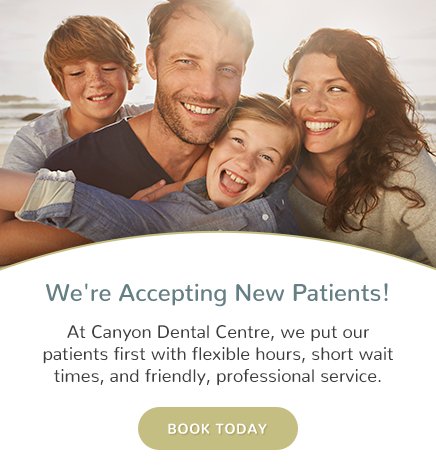 What types of teeth whitening treatment do you offer at Canyon Dental Centre? We want you to have the smile you deserve. Ask us about the best teeth whitening option that works for your smile!